"The reason Antonio Conte has been backed in so significantly is due to reports in Italy that he has already agreed a deal in principle to move to west London after Euro 2016." Roman Abramovich is keeping punters guessing with regards to the subject of who will be Chelsea manager on the opening day of the 2016/17 Premier League campaign. When Betting.Betfair last checked in on the Betfair Sportsbook market a fortnight ago, Juventus boss Massimiliano Allegri was judged to be the 4/6 frontrunner, but he has since drifted to 6/1. Before that, former Chile coach Jorge Sampaoli led the way at 2/1, yet the Argentine is now out at 10/1. The current odds-on favourite is another Italian whose greatest dugout achievement came with Juventus, with Allegri being displaced by his Bianconeri predecessor Antonio Conte, who is 10/11 to take over at Stamford Bridge this summer. 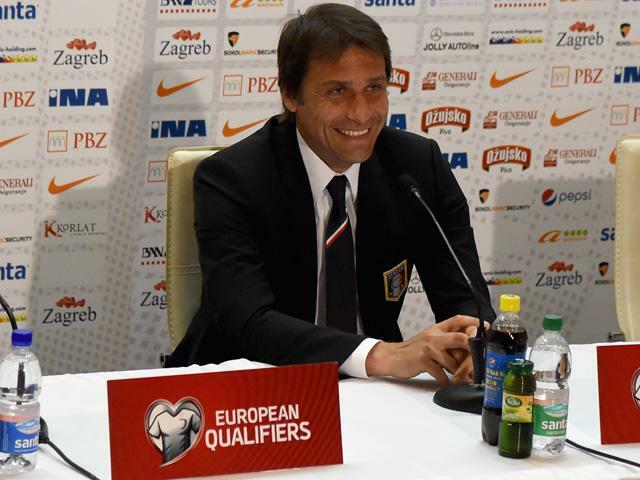 The 46-year-old has been in charge of the Italy national team since leaving the Old Lady in 2014, winning Euro 2016 Qualifying Group H ahead of Croatia and Norway, but his existing contract expires at the end of the tournament and his past glory at club level ensures that he has plenty of admirers. When Conte replaced Luigi Delneri in 2011, the most successful side in Italian football history had finished seventh for the second season in a row and hadn't won the scudetto since 2006's Calciopoli scandal. He won it without losing a single game in his first term, retaining with ease in the next two. The former midfielder was fairly assured in Europe too. His first crack at the Champions League in 2012/13 saw Juventus get through their group at the expense of holders Chelsea and reach the quarter-finals for the first time in seven years. So there is much to impress Abramovich and his advisors and little to put them off, besides perhaps the manner of his Bianconeri departure, resigning one day into pre-season training two years ago having seemingly grown frustrated by transfer plans. The reason Conte has been backed in so significantly is due to reports in Italy that he has already agreed a deal in principle to move to west London after Euro 2016. The English media don't share that sense of certainty, but have noted that both the tactician and Blues technical director Michael Emenalo are in Turin for the Juventus v Bayern Munich Champions League round-of-16 first leg, and that a meeting between them may have been arranged around it. It is a damaging development to the prospects of Guus Hiddink being offered the job full time following another accomplished interim stint. The Dutch veteran has overseen six victories and one defeat in 13 matches since stepping in for Jose Mourinho, leading in-form John Obi Mikel to claim that "98 or 99% of (the squad) want him to stay". However, he remains a distant 14/1 fifth favourite.